Don Morris received his undergraduate education at Tulane University and went on to obtain his doctorate at Louisiana State University in New Orleans. He then went to the Mayo Clinic in Rochester, Minnesota to complete general surgery and then plastic surgery training. He practiced plastic surgery in Milwaukee, Wisconsin for 37 years and was clinical assistant Professor at the Marquette University and the Medical College of Wisconsin. He recently moved his studio from Coral Gables, Florida, to Rancho Santa Fe, California. He is the author of numerous articles and has appeared on the Today Show, Nova, and numerous radio and televisions programs. He was an ardent art collector and also associated with the Milwaukee Art Museum as president of the Contemporary Art Society and the acquisition committee. After retiring from plastic surgery, he began his new career as an artist in 2009. His art is now in numerous collections and museums in the United States, Europe and Asia. 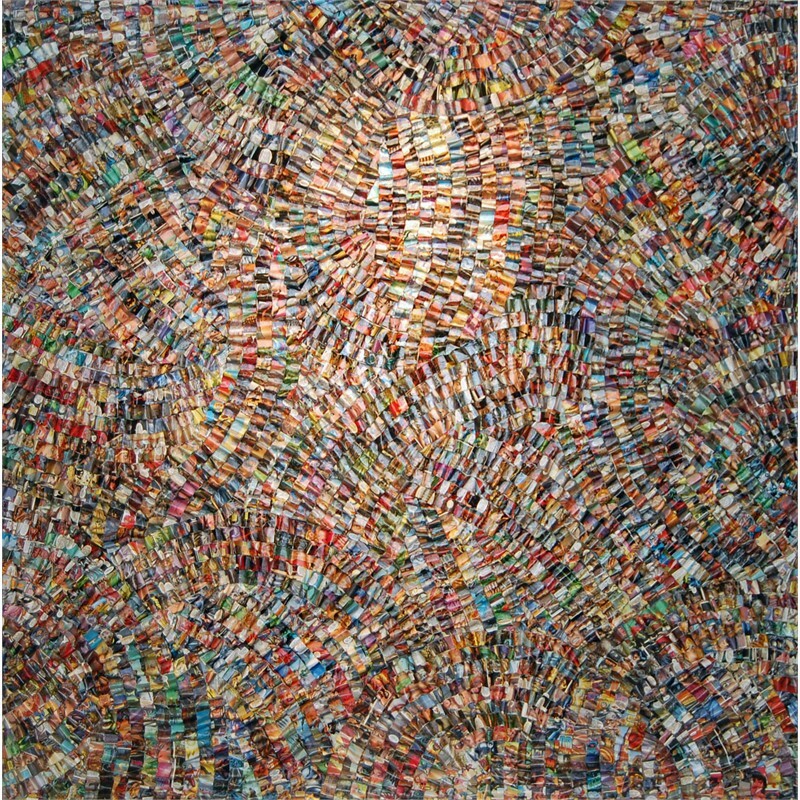 In a very short time since entering the art world, Don Morris has seen a meteoric rise in his prominence as an artist. His constructions are found in museums and significant collections both in the United States and abroad. 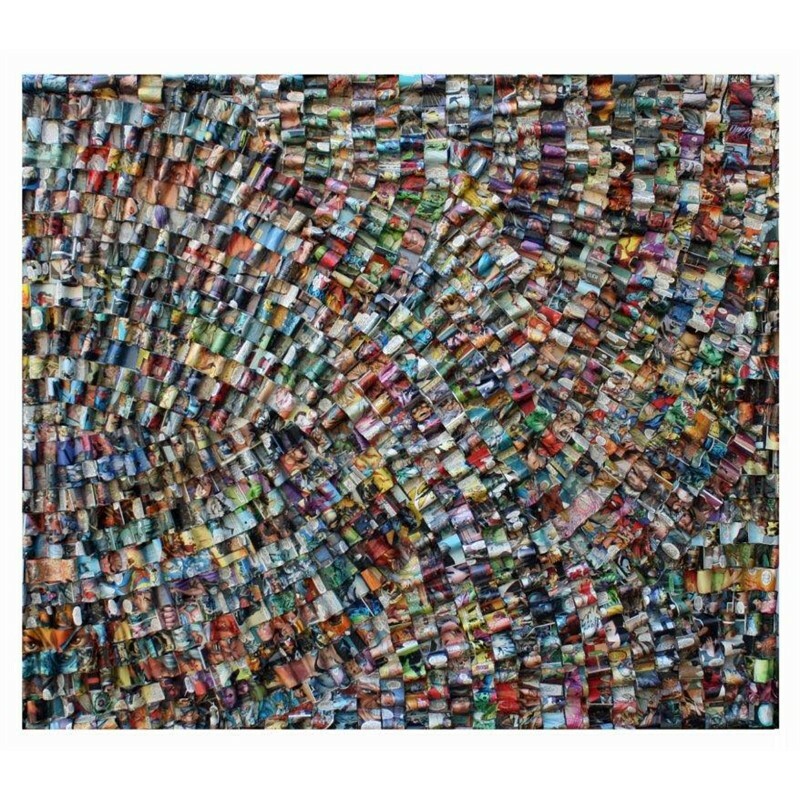 His approach is sophisticated and fresh as he has taken inert objects, found wood or shredded comic books and re-invented them into aesthetic pieces that evoke a sense of mystery and form into pleasing constructions of texture, color and shadow. Morris’ comic book constructions are rooted in the art of the ’60’s when Andy Warhol reigned supreme. 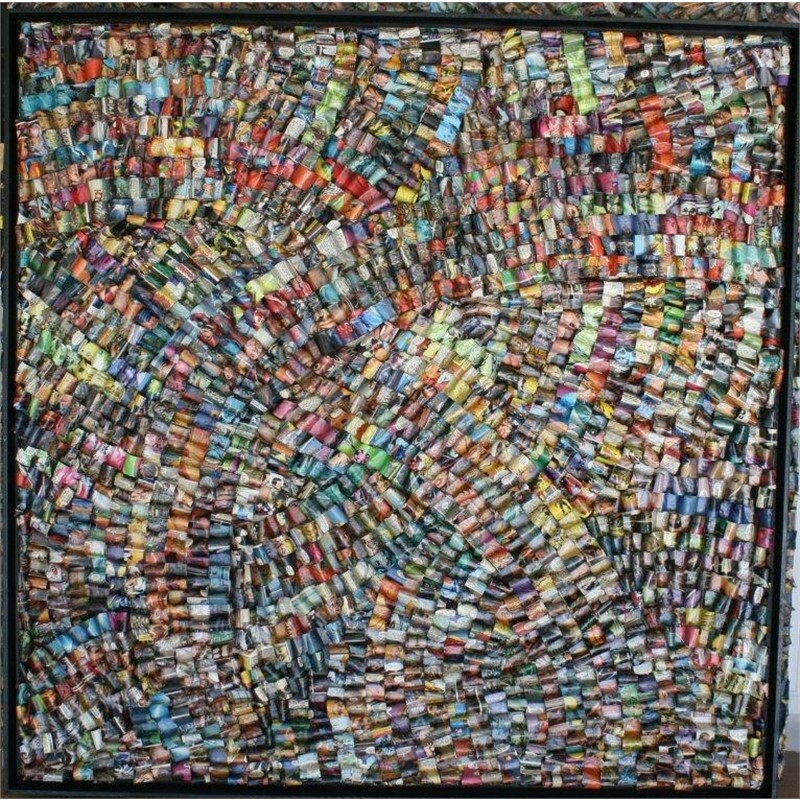 Cesar, Arman and Chamberlain utilized metal from automobiles to form cubes of colored compacted metal. Later Mark Newport incorporated comic books into quilts; and finally Scarpa used comic books in his constructions. 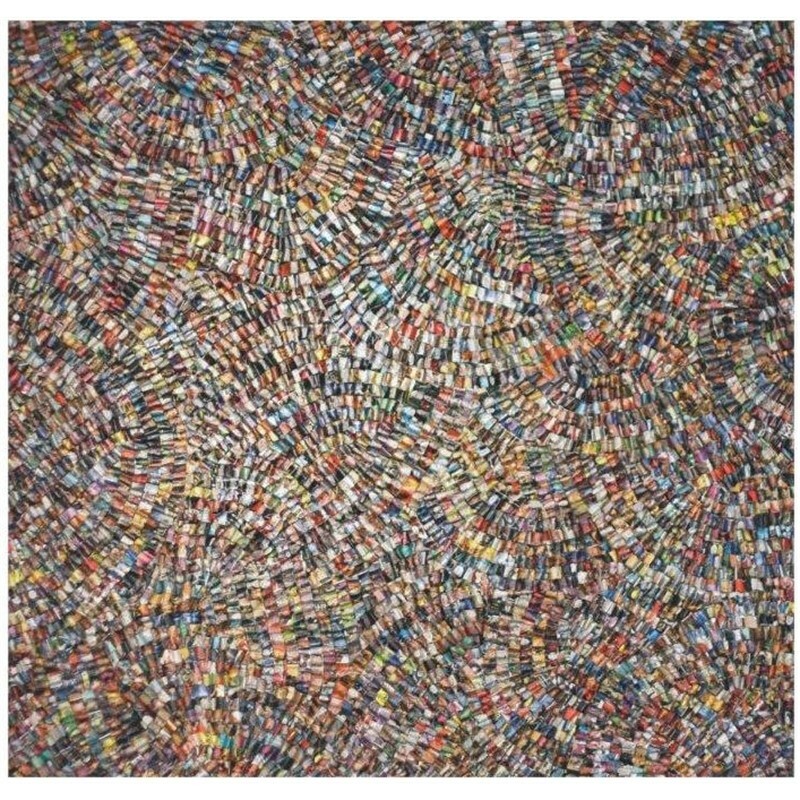 Morris has taken the iconic comic book of our youth and reduced it to narrow strips and bands and re-invented it into a mass of bright color and texture when seen from a distance. The constructions embody a certain lightness and fluidity. The uniformly undulating surface of gentle peaks and curves in the folds of the comic book pages captures the viewer with a story as it unfolds. 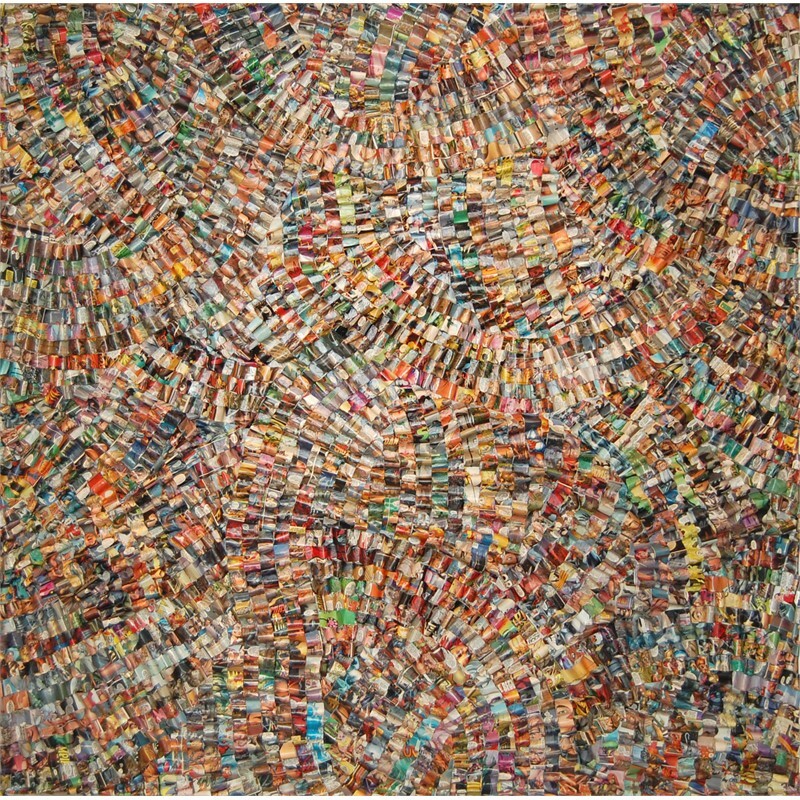 From a distance the viewer sees only the interplay of colors and texture. However, as the viewer is drawn closer the super heroes of the comic book fly, struggle, and climb in small fragments and vignettes. The expressive faces of the comic book characters show all the emotion of the human psyche. Word bubbles from the comic book text are clearly visible throughout the pieces, allowing the viewer to read the dialog of the action heroes. 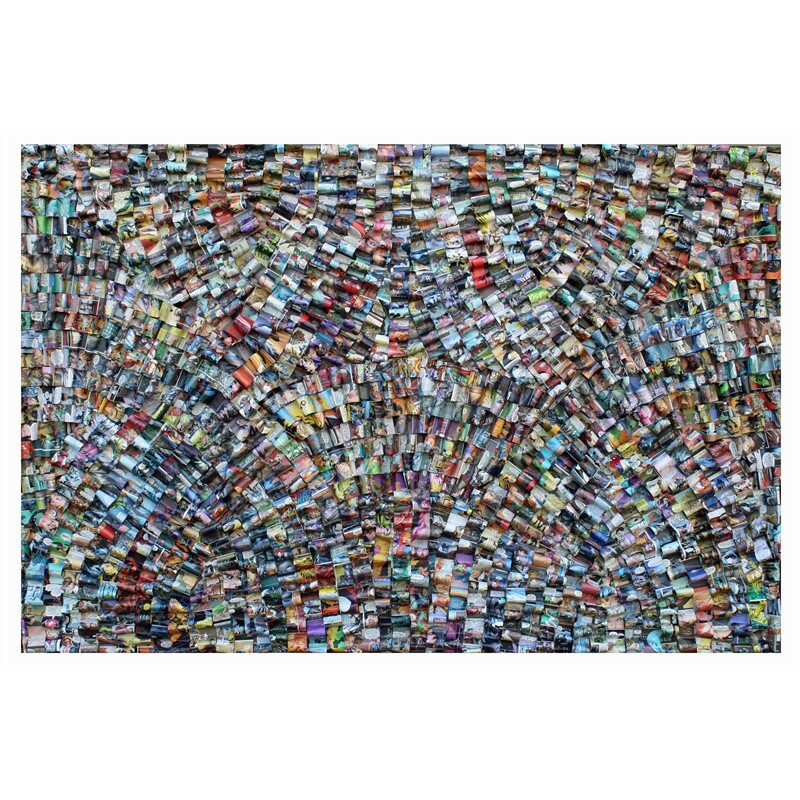 The compilation of thousands of comic book sections form constructions of various sizes, leaving viewers with an unforgettable image of energetic architectural elements in a distinctive physical composition.